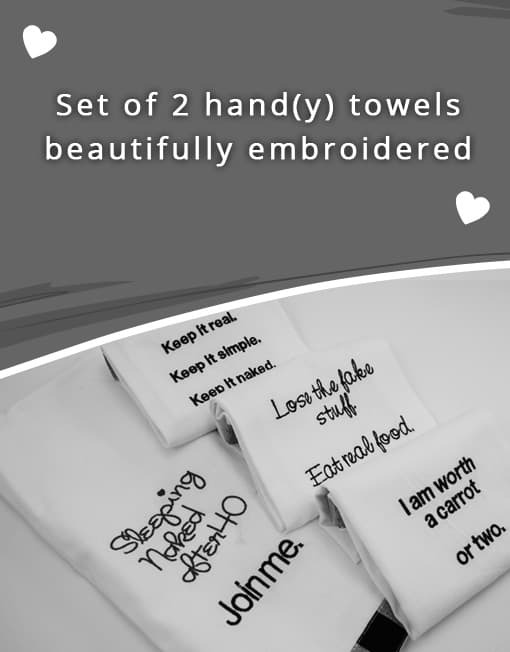 A set of 2 hand(y) towels beautifully embroidered. Do you want a little support as you create in your kitchen.? 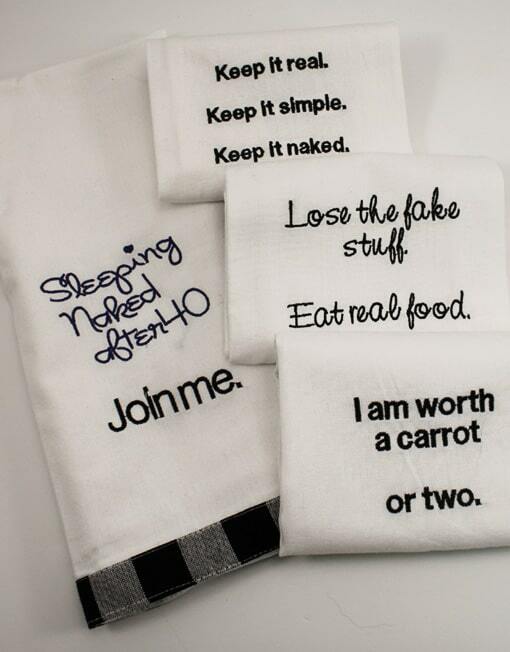 Sold in packs of 2 so you can pick 2 that speak to you. They make a great gift. Buy 2 and give 2 and add a cookbook to the mix so you can create the recipes that will help you build your healthiest, sexiest body… and keep your kitchen tidy while you are at it.